Brexit: What is happening and will there be a second referendum? Home Viral news Brexit: What is happening and will there be a second referendum? London, United Kingdom – There are just 25 days until the United Kingdom is due to leave the European Union, and the British public remains in the dark about how, when and if Brexit will take place. But things are coming to a head. 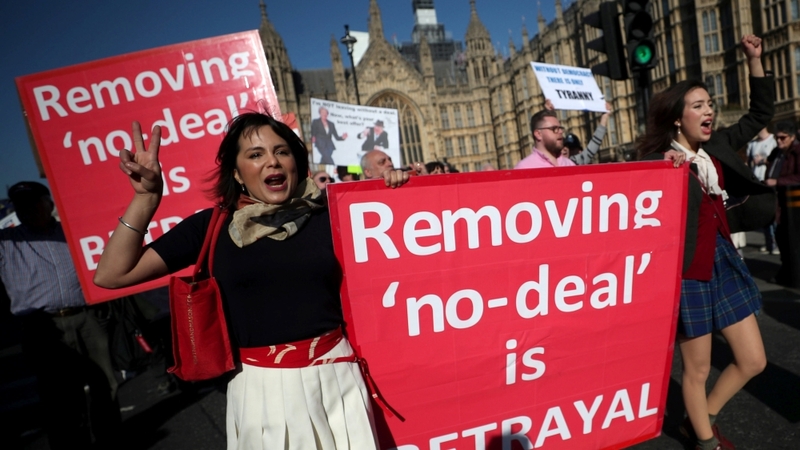 Prime Minister Theresa May has promised to bring a revised deal back to parliament by March 12, and hold a second “meaningful vote”, hoping to persuade enough Conservative MPs – many of whom have so far rebelled against her plans – to vote for it. May has delayed such votes in the past, leading to accusations of “running down the clock”, but this time she is bound by parliament to hold a vote on March 13. This will give MPs the final say on leaving the EU without a deal on March 29 – something there is not a parliamentary majority for. Should MPs vote against the deal, and then vote against leaving the EU without one – both of which appear likely, another vote will be held on March 14 on extending Article 50. Is Brexit going to happen on time? Nothing has been confirmed but it does not look likely. Extending Article 50 – the part of the treaty on the EU that allows member states to leave the bloc – is not unilateral and all other 27 EU member states need to agree. French President Emmanuel Macron, for one, has already objected to a delay without a clear objective. May has said she would allow an extension “not beyond June”, but the EU is expected to seek a longer period. However, there is a limit to the EU’s timeframe too. Its members are unlikely to want an extension so long that it undoes 18 months of negotiations. European Parliament elections are scheduled for May 23-26, and the new assembly’s first sitting is on July 2. A longer extension also means British citizens should have a say on who represents them in the European Parliament if they’re still part of the EU by then. A second public vote would need parliament’s approval, and it is unclear if there would be enough support. Parliament voted down opposition leader Jeremy Corbyn‘s Brexit plan last week, which means the Labour Party is now officially committed to backing a second referendum. However, some Labour MPs in leave-voting constituencies might not support it. Options for a vote could include remaining in the EU, leaving without a deal, or a number of different withdrawal terms. There is some public support for a new vote; a “put it to the people” rally has been called in London for March 23. Are all options still on the table then? The prospect of a short delay would bring Britain to a “sharper cliff-edge”, according to May, and she is hoping to back MPs into a corner to vote for her deal. This means next week’s “meaningful vote” may not be the last one after all. Any request for an extension is likely to be on the agenda of the next European Council meeting, on March 21-22.